Welcome to Shark Week - Day 1! 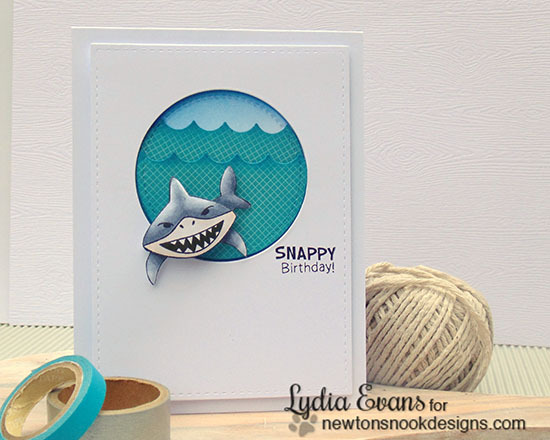 We are featuring our new Shark Bites stamp set all week on the NND blog, with two new fun projects each day! Today we have sharky inspiration from Lydia and Jess! 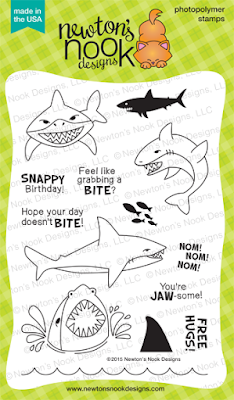 Isn't this card using the new Shark Bites stamp set so fun? I love how the shark is popping out over the edge of the circle of waves to wish you a "SNAPPY birthday"! This would be a great card to give to a little boy for his birthday! 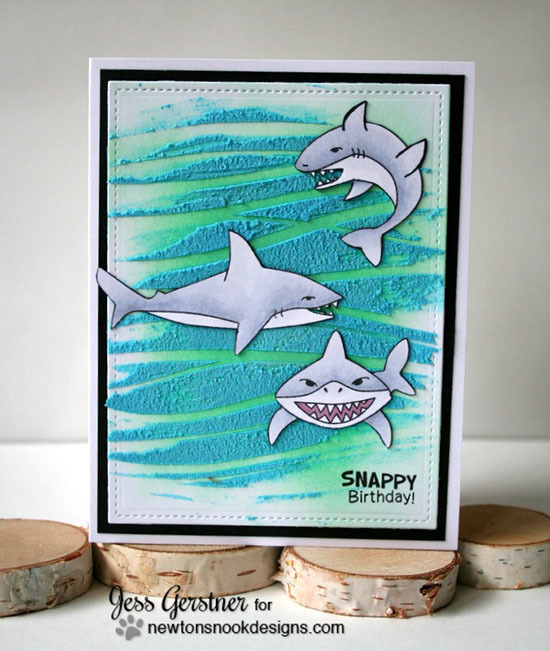 Jess created a really fun background with textured waves and then fussy-cut THREE fun sharks from the the new Shark Bites stamp set hanging out together! 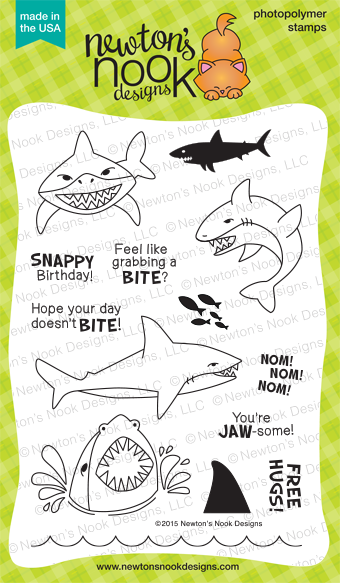 It's a SHARKY birthday party! Jess has a video on her blog too so make sure to go check out her technique and instructions! Don't forget - this set is on special all week for just $11.99 Next week it will be back to the regular price of $14.99 so you'll definitely want to pop over to our shop and grab it while it's on sale! Make sure you come back next week to see the rest of our awesome July release and our 2 year celebration! These cards showcase these "menacing" sharks so well! Fabulous job! Shark week, what an awesome idea, love this set! Both cards are super fun and would make great masculine cards!